Looking for a fix for piano noise? 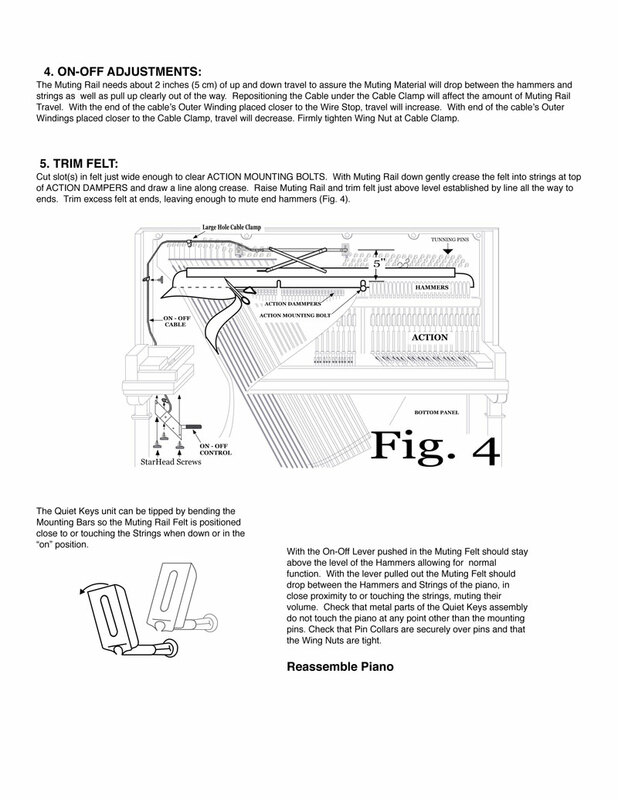 The Quiet Keys system helps reduce piano volume for Spinet, Console and Studio pianos (does not work on grands). A simple turn of a lever turns Quiet Keys on or off, allowing for dramatically reduced volume when engaged, and normal piano volume when off. A great option for practice time, and for those in apartments, with neighbors, or with family trying to sleep! 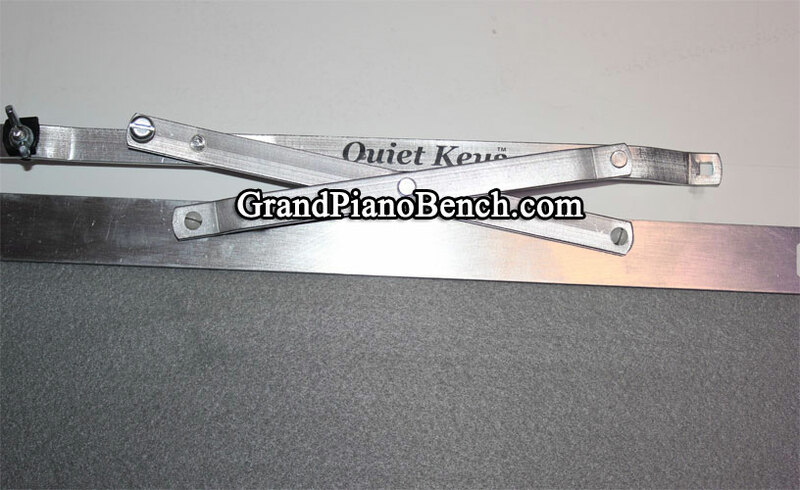 Quiet Keys adjusts to fit any sized vertical piano. The pitch is unaffected, it removes instantly for tuning, and there is no damage to the finish of your instrument. When "on," Quiet Keys device inserts acrylic felt between your piano's hammers and strings, reducing volume near 80 percent! 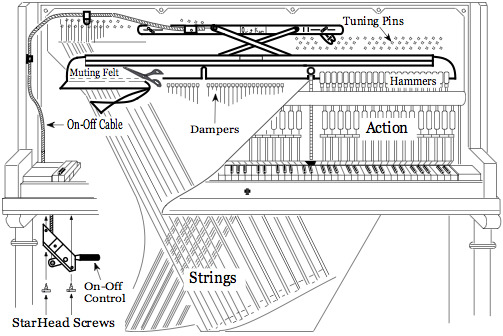 When you switch the lever off, the felt material remains above the hammers allowing for normal piano function. 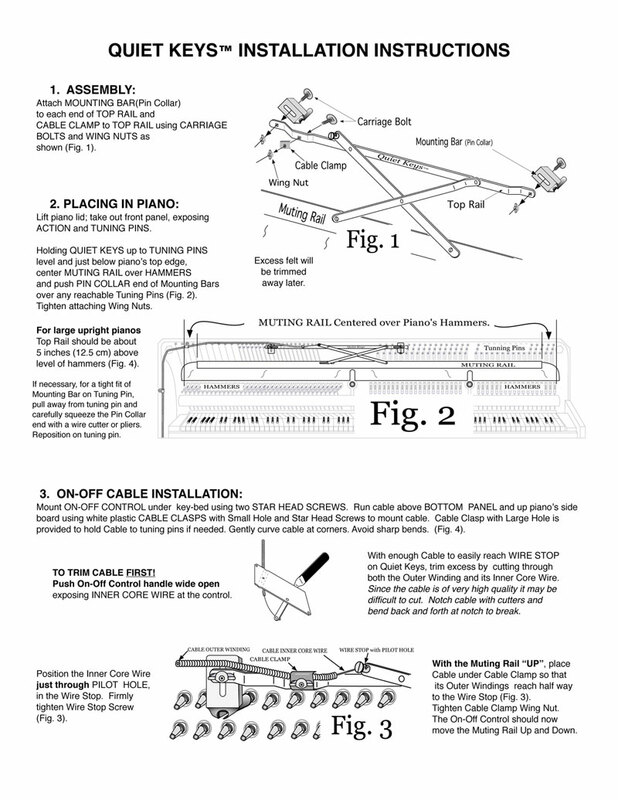 The on-off control mounts to the unfinished wood on the underside of the piano's keys and its cable follows the piano's inside side panel. Your pianos finish and all visible surfaces are left untouched. Using the tuning pins as a mounting location, Quiet Keys takes advantage of their universal size and placement. The only tools you'll need are a screwdriver, wire cutters and scissors. All hardware and fasteners included. Or watch the installation video here! 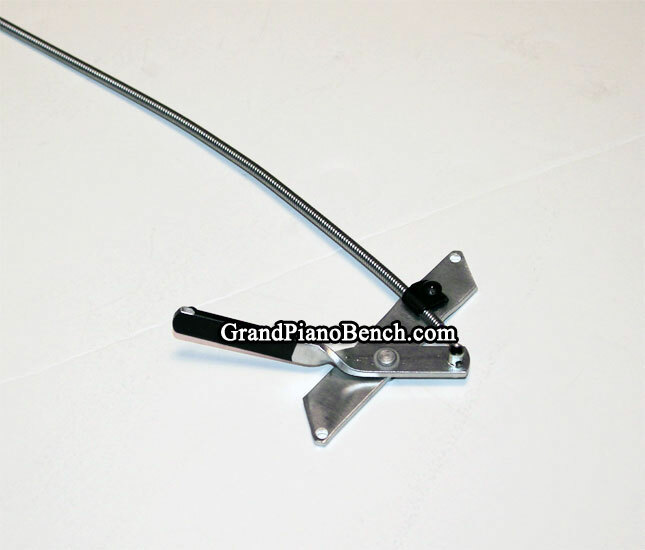 Shipping for our piano accessories is $4.95 to anywhere in the United States. Please selection option in drop down menu at checkout.